Ride Hacks changed the way we think about driving experiences, in only three months. It’s the beginning of the journey. The end is nowhere in sight. Yet, the change is happening. We started with a mission of changing the way you think about luxury and prestige driving experiences. Our mission is evolving. Personal transport has also changed so fast that you probably haven’t noticed. If Uber can destroy the taxi industry in a couple of years, who will be destroying traditional car ownership? Tesla Energy launched the Powerwall this year, an innovation which is more than just a battery on the wall. Maybe it didn’t cross your mind that the 85kWh battery in your new Model S might just become the core storage of your future renewable energy home. The Tesla Model S isn’t simply replacing your car, it fundamentally changes your relationship with energy, and therefore your relationship with the world. On the other end of the spectrum, both GoGet and Hertz 24/7 in Australia have introduced Audi’s into their on-demand fleet during 2015. Why own a $60k Audi Q5 when you can get one when you need it for $10 per hour? What if we had 100x of these cars in every city around the world? And like Uber, where you have a unified global profile, why wouldn’t you rock up in Paris and grab a GoGet without talking to anyone and driving down to Lyon (my favourite city in France) to drop it off? 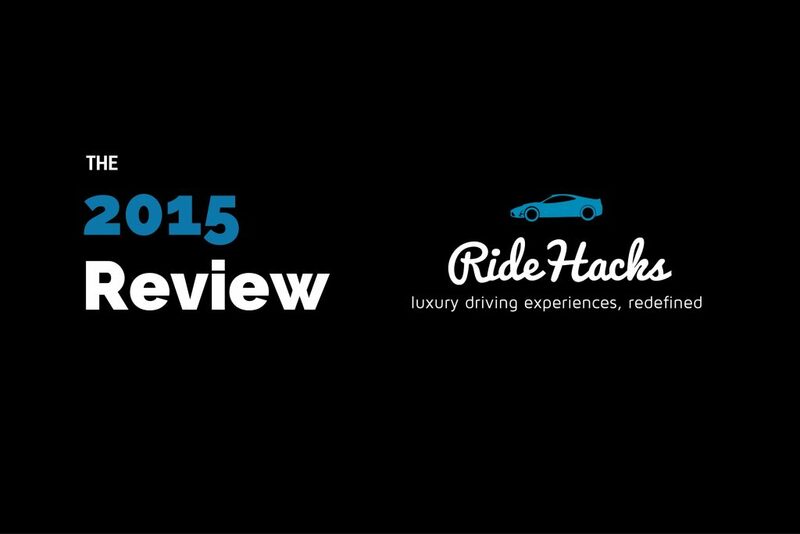 In summary, Ride Hacks will continue with our reviews, editorial and guides. But at the end of the day, our mission is to help you discover the driving experiences that will change the way you connect with the world. Here’s to 2016! Thanks for starting with us in 2015.